I love a lot of things when it comes to fashion; however, I think coats have to be one of my top 3 items that I always invest in (3rd in line to handbags and shoes). And, every year, I seem to always find a new one I just “have to have” to add to my collection. This annual coat collecting is getting so bad now, that there isn’t enough room for another one in our foyer coat closet – at least for anyone else’s coats. I’m sorry, but I’m not really sorry at all. Just ask my husband, he thinks that I’m crazy for coats, and maybe I am. The coat closet is telling this as well. Just call me the “Coat Lady.” Guess what, Honey?! I found another one that I can’t live without. Oops. 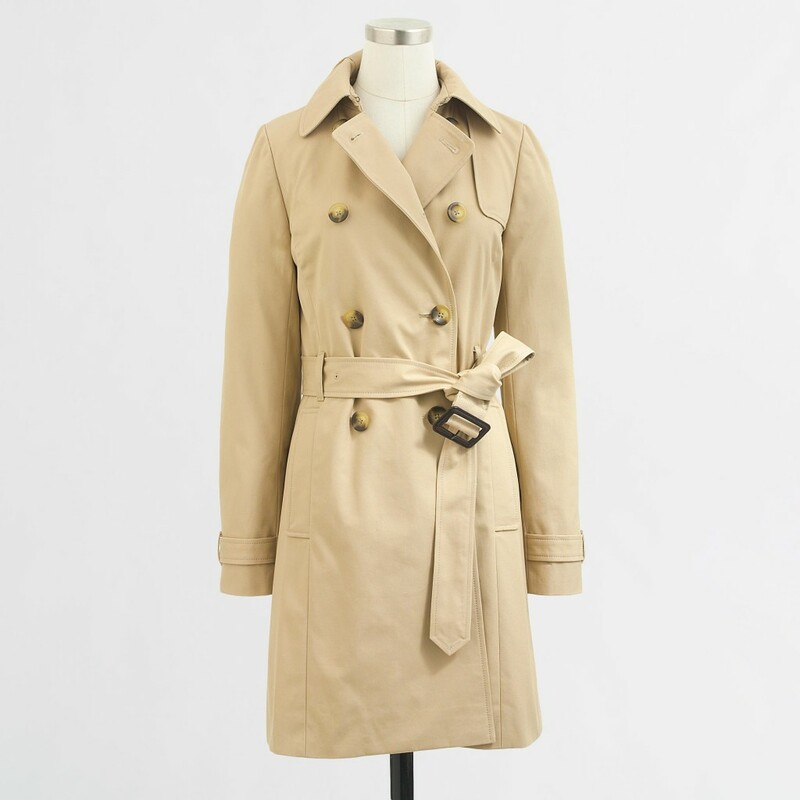 A trench coat is so timeless. I bought one my freshman year in college, and I wore it almost daily in the Fall time, before the temperatures really got cold. It was the perfect addition to my denim, button up and heels look. That “look” was my daily uniform in college, for me at least. True story…I used to wake up before my 8am classes, and I’d iron my button ups. I have always believed in being put together. I get this mentality from my parents, and it’s a good thing. That’s just me. Well, I had to retire that old trench coat many moons ago, and this one looks like the perfect replacement. What do you think? And, the best part is it’s on sale! Do you share the same obsession of coats with me?